Room 6 is our family room. 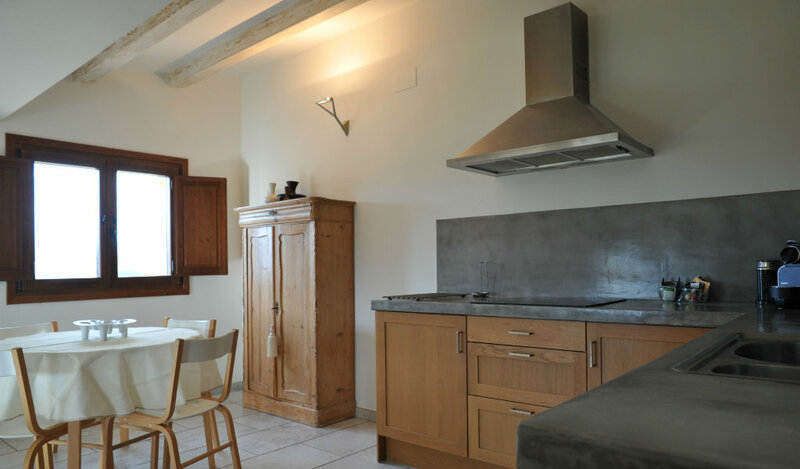 It is a bright two-room apartment of 50m2 with stunning views of the mountains and the sunset. It is North-West oriented. 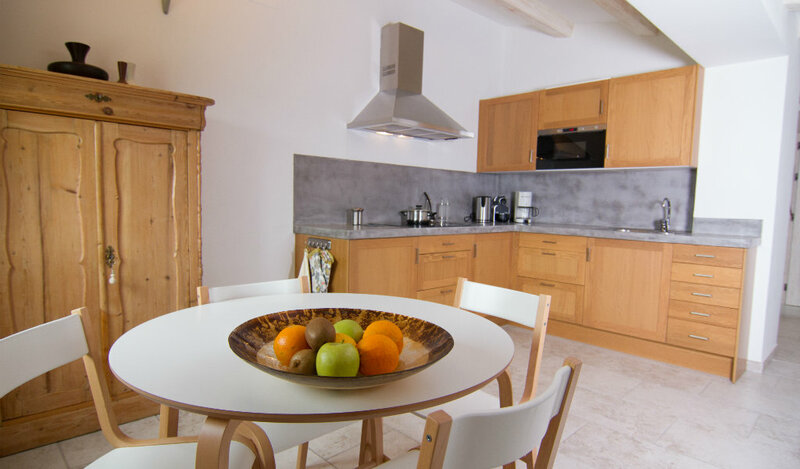 The room features free WiFi, air conditioning, heating, a seating area, a flat-screen TV with satellite channels, a fully-equipped kitchen with a 4-ring electric stove, microwave and fridge, a Nespresso coffee machine and kettle, and a dining table with 4 chairs. 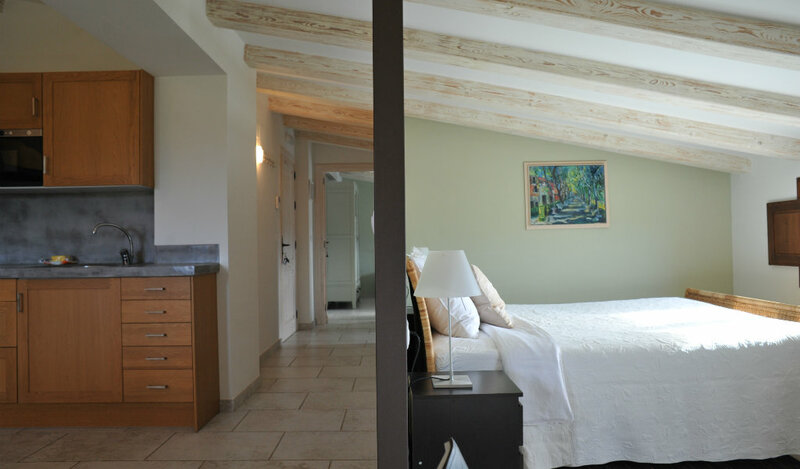 The apartment has a double bed of 1.60 x 2.00m and a separate room with 2 single beds of 0.90 x 2.00m and a second TV. 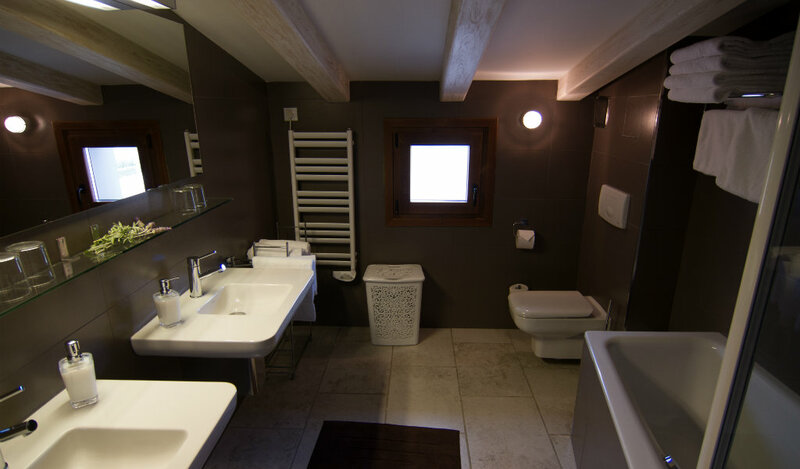 The bathroom is equipped with a bath, toilet, two sinks, a hairdryer, toilet and free toiletries. Apartment size: 50 m². On the second floor, accessible via the stairs.